Every client is unique. Each has different individual requirements and budgets. Whatever your particular needs, our property finding service is designed to help you find the best possible property to buy or rent to match your budget. The following case studies, client testimonials and awards provide examples of property searches we have carried out and feedback and recognition we have received. Please contact us 01789 491626 or complete our simple enquiry form to see how we can best assist you with your specific property search requirements. Please see example case studies of individuals and families we have helped to buy and rent properties. Please see example testimonials from private and corporate clients we have helped to purchase, rent and relocate. 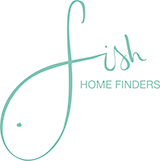 Please see details of awards that Fish Home Finders have received in recognition of our services.